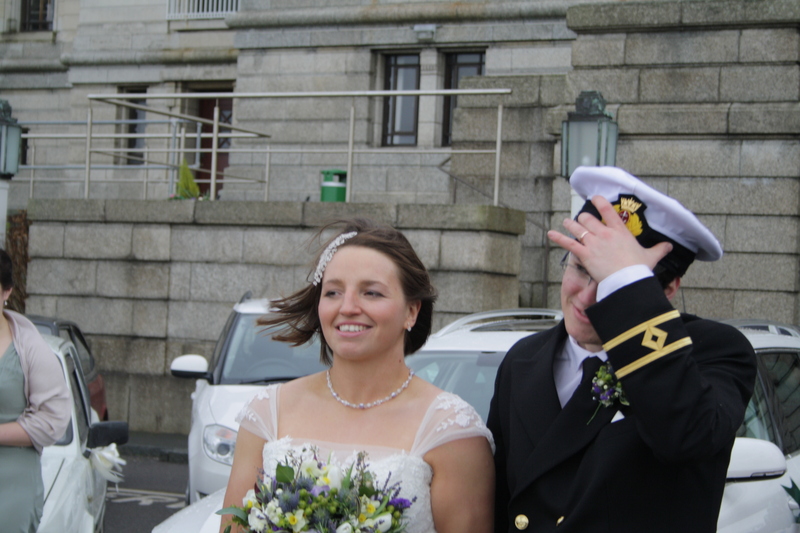 Skud dreams are wedded bliss – HubNut – celebrating the average! Who am I to disagree? Some very dear chums of mine got married at the weekend. Sorry for taking quite so long to get my report of the day into readable form. There have been many distractions. Both are quite keen on the brand known as Skoda, as it seems are their friends and a good chunk of their families too! Skodas were plentiful, from rear-engined ‘jokes’ of the early 1980s right up to a brand new Superb estate, kindly loaned to the couple for the weekend by Skoda UK. Very nice of them! Logistics are always a challenge, so I’d offered my services as a driver – though I could hardly offer any of my rusty relics as suitable transport. 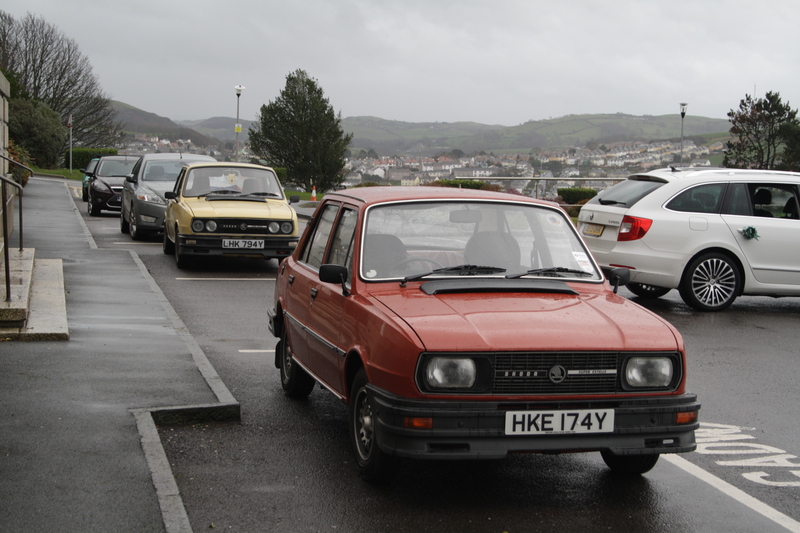 Fortunately, a mutual Skoda-owning chum called Dave, who was the best man, leant me his 1983 Skoda 120LE. This forerunner of the more-common Estelle shares the same delicious, kinked-up wingline as later models and naturally has the engine at the back. This example had only covered 19,000 miles. It was an honour to transport important folks to the service in style! Even better, another 120LE (that’s 100% of the 120LEs known in the UK) transported further wedding people. We enjoyed a merry convoy even in horrible weather conditions. As you can see, it’s a lovely example of the breed, though so is the yellow one behind it. Right. To the road test. The first one I’ve ever carried out accompanied by a bridesmaid. It’s been a while since I drove a rear-engined Skoda, and I’d almost forgotten how thoroughly charming they are. The engine hums away in the distance, behind you though it must be said, it doesn’t provide very much urge. It delivers its power smoothly though, with a nice spread of torque. The gearchange is very much like many other rear-engined cars, from Volkswagen Beetle to Renault Dauphine. You can feel that there’s a lot of linkage, but there’s a nice, mechanical feel to the change, and I certainly didn’t have any issues finding the desired ratios. The steering was lovely. It uses rack-and-pinion but having little weight up front means it can be nice and direct without being heavy. I was hardly going to push the handling to the limit – hairstyles and bouquets were at risk – and it’s probably best I didn’t, as they’re a bit of a handful when pushing on. I was still able to barrel along at a heady 50-60mph without having to get too pedestrian at the curves. All-in-all, it was a reminder that I really do need another rear-engined Skoda in my life. There has been only one, and it wasn’t very good. Next time, I shall spend more than £150. Finally, best wishes to Rob and Sophie Parker-Norman for the future. May life bring you much happiness and even more Skodas!